Place all sauce ingredients into a small saucepan and heat over medium heat. Stir and bring to simmer until thick and sticky. Strain and set aside. Deep-fry shallots, garlic and red chillies separately and drain on paper towel. Deep-fry the boiled eggs until they have become golden and have blistered slightly. 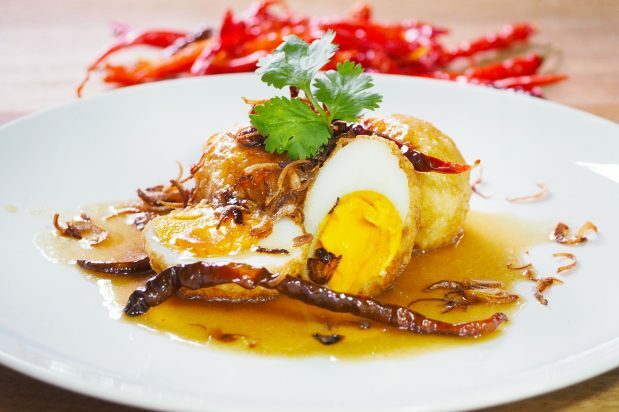 To serve, halve the eggs and place on to a serving plate and top with the deep-fried spices. Garnish with spring onions and serve with sauce.